Looking for a job? Trying to find an apartment? Wanting to sell your house? 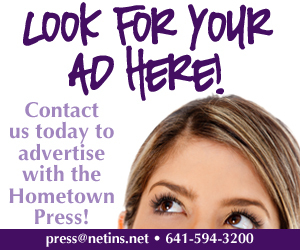 Submit a FREE Marketplace ad to the Hometown Press! We will run your ad in the paper for three weeks. If you need to cancel the ad before the three weeks are up, please let us know. *The Hometown Press does charge for box ads for employment ads, happy ads, and thank yous, so please contact us with these types of ads.